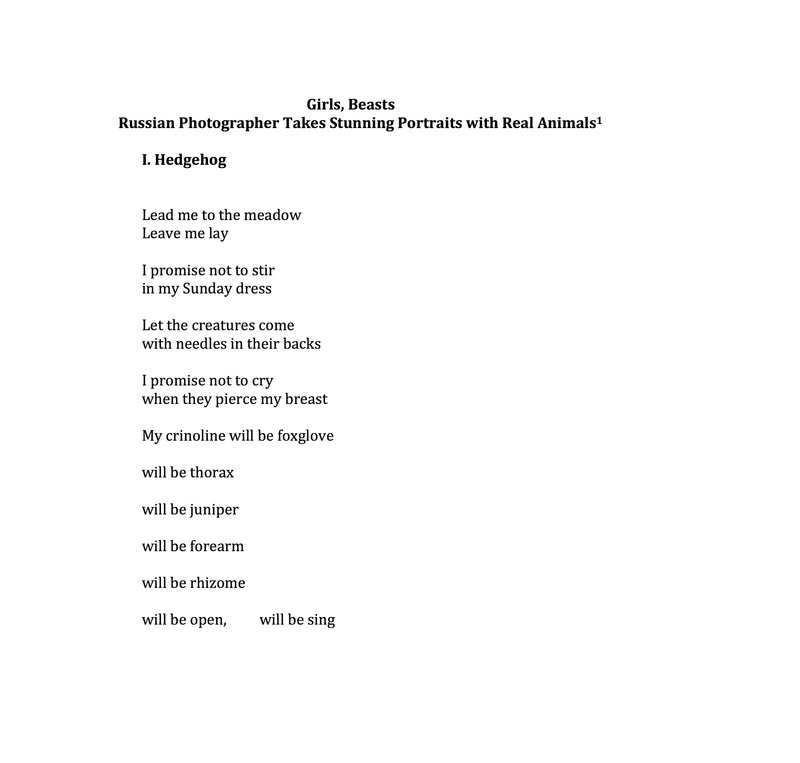 *These poems are inspired by Russian photographer Katerina Plotnikova’s series of self portraits with real animals, and the photographs’ symbolic association with the famous Cluny tapestries. Sara Biggs Chaney received her Ph.D. in English in 2008 and currently teaches first-year writing in Dartmouth’s Institute for Writing and Rhetoric. Her first chapbook, Precipice Fruit, was released by ELJ Publications in October, 2013 and her second chapbook, Ann Coulter’s Letter to the Young Poets, is forthcoming from dancing girl press this summer. 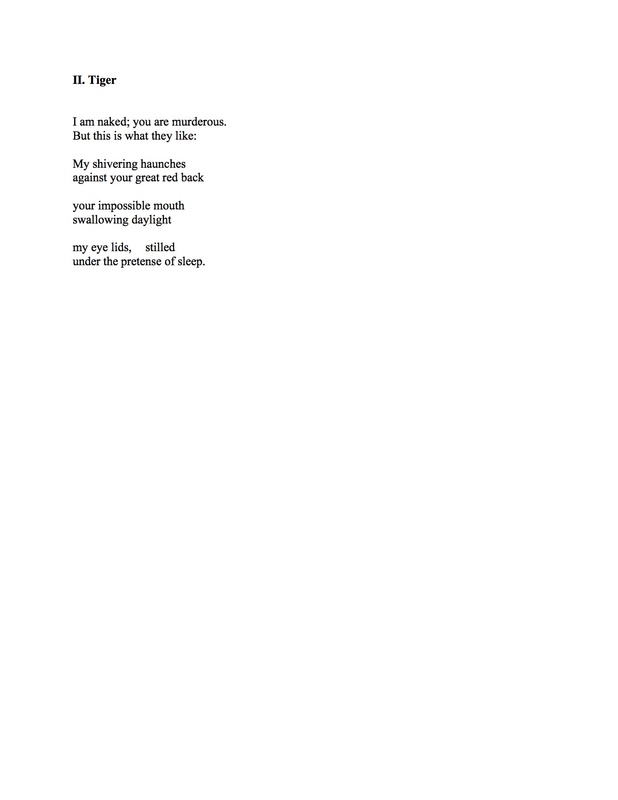 Sara’s poems have recently appeared in Word Riot, PANK, inter/rupture, Dr. T.J. Eckleburg Review and other places. 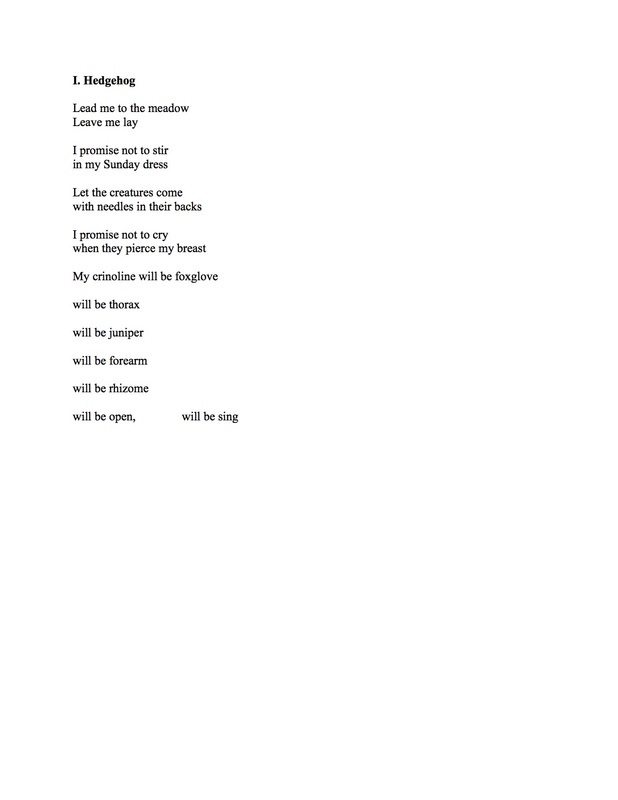 Her poem, “Badminton,” was a finalist for Best of the Net, 2013. You can catch up with Sara at her blog: sarabiggschaney.blogspot.com.